“Zoo Lab” Visit - the children had an opportunity to see and hold various insects in the classroom on Thursday afternoon November 8th. They enjoyed the experience. 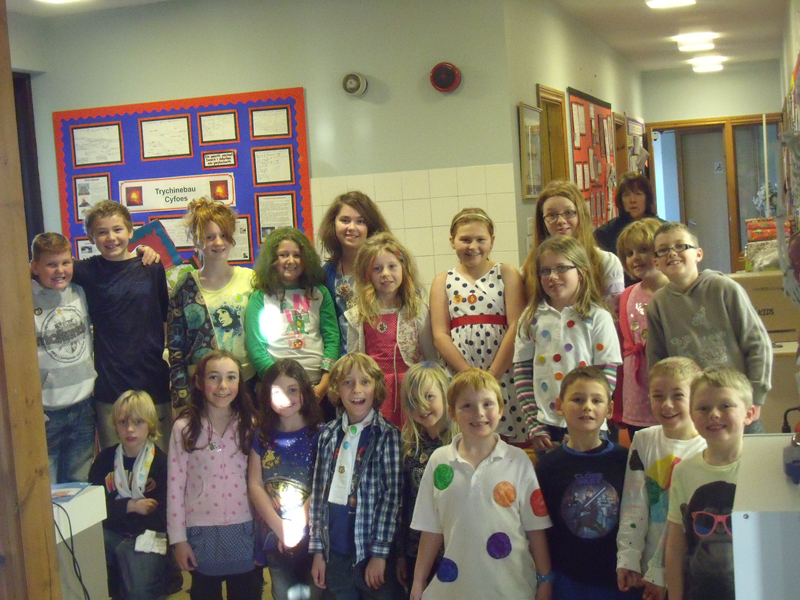 Children in Need Day – The children came to school in fancy dress on Friday November 16th. £92.40 was handed over to the Children In Need fund. Thanks to everybody for their contributions. 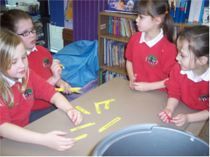 Day at Ysgol Brynrefail –Y.6 will spend a day at Ysgol Brynrefail on Tuesday December 4th..
Reading Evening – An evening was held where parents familiarized with the ‘Bug Club’ reading development programme. The programme enables children to read books on their computers at home. Delyth Gayther won the raffle for a book token to the value of £25. Christmas Fair - A Christmas fair will be held at the School on Wednesday evening December 5th at 6 p.m. There will be several stalls and hopefully Santa Claus will call. Christmas Show – This year’s Show will be held on Wednesday December 12th. A performance will be given at 1:30 p.m. and at 6 p.m.. Tickets are for sale from the school priced at £3:50 for adults and at £2 for pensioners and secondary school pupils. A warm invitation is extended to all. Cycling lessons – Y.5 and 6 pupils completed safe cycling training on Wednesday November 14th. Pantomime – We will visit Venue Cymru Llandudno on Tuesday afternoon December 18th to see the Pantomime “Peter Pan”. Entertainment in the Community – Some of the pupils will be visiting Penisarwaen Nursing Home on Wednesday afternoon December 19th. They will entertain the residents with various Christmassy items. Christmas Dinner - Anti Mandy will prepare the Christmas dinner on Thursday December 20th. There will be an opportunity for the Nursery class pupils to join us as well as those who as a rule bring a packed lunch. Welcome back to Anti Carolyn to the Breakfast Club, we look forward to seeing her back soon preparing dinner. Christmas Holidays – The School will close on Friday December 21st and re-open for pupils on Tuesday January 8th. Welcome - 7 infants were welcomed to the nursery class, Olwen, Cadi, Katie, Ruby, Gethin ,Gruffudd, and Rhys have settled down very well. We extend a welcome to Mrs Sharon Jones and Miss Manon Wyn as class 3 and 4 assistants, Miss Donna Jones Foundation Phase Assistant, and Miss Natasha Thomas who will spend time in the same class as part of her course at Coleg Menai. All the best! - That is what we wish the children who have started at Ysgol Brynrefail. Swimming Lessons - 33 pupils from classes 2, 3, 4, 5, and 6 have commenced a series of weekly swimming lessons that will be held on Thursday morning, everybody enjoys these. Instrumental lessons - 13 pupils receive lessons at the school weekly. Sports Club /Dragon Sports - The activities have commenced, and will be held every Monday Evening after School until 4 p.m. for Y3 to Y6 pupils. The Urdd - The Urdd activities commence after Christmas. Taking photographs - Mr Gwynant Parri will visit the School on Tuesday morning November 13th to take photographs of the children. Anybody who does not have children attending the school is welcome to drop by. Training Day - The School will be closed on Friday October 19 for Staff Inset. Formula 1 Competition for schools - The school intends to take advantage of an excellent opportunity to participate at the Formula 1 competition in Schools. Pupils from Years 3-6 will have an opportunity to design a racing car and race it against cars constructed by other schools throughout North Wales. School’s Newspaper - At the children and parents request, the school will publish a termly newspaper and the first edition will be published shortly before the Christmas holidays. The paper’s publication will provide the children with special educational opportunities and develop various essential skills e.g. communication and entrepreneurship. Thanks - Miss Rhian Roberts who was a Foundation Phase Assistant at the School wishes to thank Staff, Children and Parents for their kindness on her recent departure from her post at the School. Slate Museum 40th Birthday Celebrations Project - – Y 5 and 6 had an opportunity to participate in the project to design a new web-site as part of the celebrations. They received an invitation to visit the Museum to launch the web-site on Wednesday May 23rd. Thanks for the welcome received. 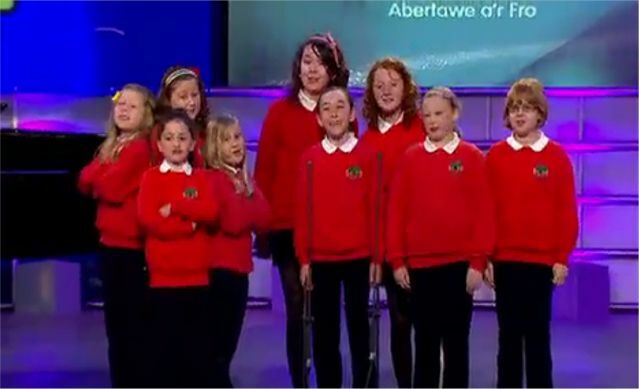 Success- The School takes pride in the children’s success at the Urdd Eryri National Eisteddfod. The Unison Group came 1st, receiving a highly commendable adjudication. Congratulations to them. We are very grateful to the Parents for their support and collaboration regarding arrangements to take the children to the Eisteddfod at Glynllifon. Everybody hugely enjoyed themselves. Tennis Tournament – Some pupils from Y 3, 4, 5 and 6 participated in the Tournament held at the Tennis Centre on Tuesday June 12th. Everybody had fun playing against the other teams from various Schools. Congratulations to Y5 for being runners up in their group. Visit to the Secondary School - Y 6 had an opportunity to re-visit Ysgol Brynrefail on Friday June 15th. We extend our best wishes to Catrin Sara and Amie when they start their education there in September. Moving Classes - Wednesday 4/7/12 will be a very busy day at the School. Everybody had an opportunity to move up to the class that they will be attending in September. .The children who will be attending the School for the first time were also invited to spend a morning in this nursery class. Everybody hugely enjoyed these experiences. Urdd Sports – The Sports were held on Ysgol Syr Huw Owen fields on Tuesday evening June 19th at 4-30 p.m. Thanks to everybody who participated, and to the staff for coaching them and the Parents for looking after the children during the evening. Sponsored Walk – The Foundation Phase pupils went on their walk on Wednesday morning, May 30th. Everybody enjoyed being out in the fresh air on a sunny morning. On Friday morning June 1st, KS2 pupils and staff and some Friends of the School went on their trip around Padarn Lake. 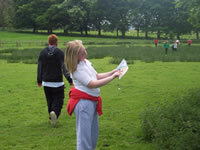 Everybody enjoyed the day out in the outdoors, and also learnt about their surroundings. Thus far, we have collected around £700 and this amount will be doubled courtesy of the Santander Company, thanks to them for their support, and to Mrs Avril Jones from Cwm y Glo a representative from the company for visiting the School to see everybody starting out on their trip. A Cymanfa Ganu will be held to open the Carnival week’s activities at the Church on Sunday Evening 15/7/12 at 6:30 p.m. The school children’s choir will participate and your support would be appreciated. This year, it was decided to hold separate trips for the pupils. Reception and Y 1 and 2 classes visited Gelli Gyffwrdd on Monday July 9th. On the same day, Classes 3, 4, 5 and 6 visited Conwy Centre at Llanfairpwll where they participated in various activities. The School will close on Wednesday July 18th and re-open for the children on Tuesday September 4th. The School takes pride in the children’s success at the Urdd County Eisteddfod held at Neuadd Pritchard Jones Bangor on Saturday March 24th where the Unison Group came first. Congratulations to them all and we extend our best wishes to everybody when competing at the Urdd Eryri National Eisteddfod in June. The entire School was very busy on Thursday March 22nd. The challenge set for them was to complete 100 miles through running around the School track. We are very proud to announce that they collected £450 towards this worthy cause that is a substantial amount considering the size of the School. Thanks to everybody for their generosity in sponsoring the children. The children came to School dressed in Welsh costume, and brought their favourite book. They also enjoyed a delicious dinner that had been prepared by Anti Mandy. On Tuesday morning, 13/3/12 Yr’s 3 to 6 participated in a “Forces” workshop held at Electric Mountain, Llanberis. The visit had been organized by the “Techniquest” company and everybody enjoyed the experience of participating. Yr 5 and 6 were invited to join children from other Schools in the Catchment-area at Ysgol Gynradd Llanrug on Wednesday morning 14/3/12. They had the opportunity to watch a Safety show organized by Menter Môn. Thanks for the welcome received. Some pupils from Yr’s 3 to 6 participated in an Athletics competition held at Arfon Leisure Centre on Friday morning 16/3/12. Thanks to everybody for giving of their best in the competition, everybody enjoyed participating. The event was organized by the Cyfeillion on Wednesday evening March 14th. It was a very enjoyable evening with several teams competing. Two teams were equal at the end namely Amie’s team and Christian’s team, both teams were asked an additional question and the winners were Christian’s team. Congratulations! During the interval, all the teams were very busy tasting a piece from each of the 17 cakes entered into the competition, and at the end, it was adjudicated that Gareth Fôn Griffiths merited the title “Best cook of Penisarwaen”. Congratulations. Thanks to everybody who supported this fun fund raising event towards the “Cyfeillion” of the School’s fund for the children’s benefit. The school achieved considerable success at the Urdd Cylch Eisteddfod held at Ysgol Brynrefail on Saturday February 25th. The Unison Group won and the Recitation Group came third. Amie was successful in the Woodwind solo. We are very proud of them and for the hard work practicing in a short space of time. We wish them all the best at the County Eisteddfod to be held at Pritchard Jones Hall Bangor on Saturday March 24th. Thanks to everybody who have been busy instructing the children and to the Parents for their co-operation at all times. We are again collecting Tesco tokens this year, and it would be appreciated if they were received at the the school before the end of June. The School will close on Friday March 30th and re-open for the children on Tuesday April 17th. Staff INSET will be held on the Monday. Y 3 and 4 – Ioan Williams , Elin Thomas, Carwyn Owen and Georgia Parkinson. Y 2 – Mabli Baines and Harri Williams. 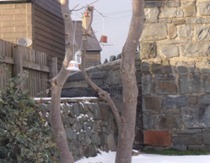 Y 5 and 6 had an opportunity to set up a web-site at the Slate Museum at Llanberis on Tuesday January 31st. Everybody greatly enjoyed the experience. On Monday, February 6th, Mr Dilwyn Griffith visited the School to present an interesting talk to KS2 children about the Tudors. He showed them various Artefacts related to the period. As part of their Homes Theme, the Foundation Phase class visited Bron Haul at the Slate Museum at Llanberis on Tuesday afternoon February 7th. They also had an opportunity to participate in a Workshop on washing clothing in bye gone times. 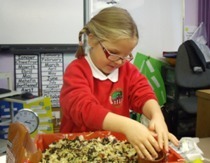 Over the past few weeks, the children have been busy preparing for various competitions. We wish them all the best at the Area Eisteddfod held at Ysgol Brynrefail on Saturday February 25th. They will also be competing at the Art and Craft and Literature Section. Mr Andrew Setatree held a Morning Service at the School on Tuesday February 28th. Our thanks to him for giving of his time to visit us from time to time. We will be celebrating St David’s Day and World Book Day on March 1st. The children will have an opportunity to come to school in Welsh costume as well as bring their favourite book. We will be served delicious Welsh lamb to end the celebrations. A New Year and a New School ! Certainly, Ysgol Penisarwaen will not be forgotten! There is something very special about the Community and the School, and I will have very fond memories of my time here. It was a privilege to invite Professor Carr, the Grandfather of Owain and Twm Herd to KS2 class on Monday December 12th to give a talk about Llywelyn Ein Llyw Olaf on Llywelyn’s special day. He gave a very interesting talk and the Professor, who has won “Brain of Britain” three times, was asked plenty of questions. Best wishes to Mr Gareth Fôn Jones. and our thanks to him for his commitment and enthusiasm towards the School during his time as Headteacher. He will be sorely missed. The meetings are held on Monday evening alternately with Dragon Sports. The infants spent a day at the Lloyd George Museum at Llanystumdwy on Monday November 14th. They experienced being part of a School class in the Victorian era as well as several other activities. Everybody enjoyed the visit. The children had an opportunity to visit the School in fancy dress on Friday November 18th. £85 was contributed towards the children in need fund. Thanks to everybody for their contributions. 20 boxes were collected from the School, on Wednesday 23/11/11. They were full of gifts to send to less fortunate children. Thanks to those who were busy preparing the boxes. An open evening was held to enable the Parents to have an opportunity to have a look at their children’s work on Tuesday 15/11/11. Y 6 will have an opportunity to spend a day at Ysgol Brynrefail on Monday December 5th. This year’s concert will be held on Thursday December 8th. The Community Choir that includes the school’s pupils and former pupils will participate, and items will be presented by the other pupils. There will be a performance at 1:30 p.m. and at 6 p.m. Tickets can be purchased from the School priced at £3:50 for adults and £2 for pensioners and Secondary school pupils (who do not participate in the concert.) A warm welcome is extended to everybody. The Fair will be held at the School on Tuesday evening December 13th at 6 p.m. There will be various stalls and hopefully Santa Claus will visit. Anti Carolyn will prepare Christmas dinner on Wednesday December 14th. The Nursery class will have an opportunity to join us as well as children who usually bring a packed lunch. We will be visiting the John Philips Hall at Bangor on Thursday morning December 15th to see Mega Company’s production of the Pantomime Madog. Some of the Children will be visiting Penisarwaen Nursing Home on Thursday afternoon December 15th. They will entertain the residents with various Christmassy items. The School will close on Friday December 16th and re-open for the children on Wednesday January 4th. A new Headteacher has been appointed to the School namely Mr Llŷr Rees. Mr Rees will be commencing his duties at the beginning of January 2012. Gwenllïan Owen from Bangor University is currently spending a period on teacher training at the School. Activities are held on alternate Monday evenings between 3:15 and 4:15, starting on Monday evening October 31st. Urdd branch activities meetings will commence at the School on Monday evening November 7th between 3:15 and 4:15 p.m.
Mr Andrew Settatree was welcomed here on Friday October 7th to hold the service. Two Y6 pupils, namely Catrin Sara acnd Amie accompanied Miss Bethan Pritchard visited the Supermarket on Friday afternoon October 7th as School representatives. A box full of various goods were presented for the childrens' use at the School. The visit had been arranged under the “Schools and Clubs” scheme. As part of their themework ”Myself” , Reception 1 and 2 classes will be visiting the Lloyd George Museum at Llanystumdwy on Monday November 14th. 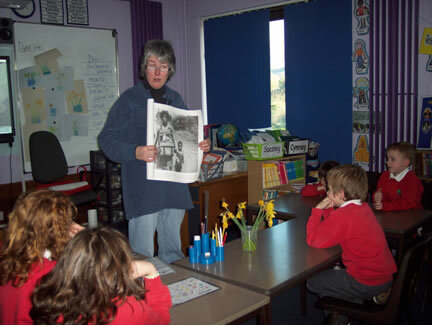 Mr Gwynant Parri will be visiting the school on Wednesday morning November 9th to take photographs of the children. Any child who is not a pupil at the school is welcome to visit during the morning. We will again be participating in this campaign this year and your support would be appreciated. Please send the boxes to the school by 18/11/11. The Concert will be held on Thursday Evening December 8th at 6 p.m. The community choir, who have been busy practicing weekly, will take part as will the infants class pupils. The Fair will be held on Tuesday evening December 13th at 6 p.m. There have been 3 new admissions to the nursery class, Elain, Erin and Harry have settled down very well. We welcome Miss Donna Roberts who will spend time in the Infants class during the maternity leave of Miss Rhian Roberts and Miss Elen Hughes from Coleg Menai who will spend time in the same class as part of her course. Miss Lowri Williams spends a term in class 3 and 4 and Mrs Nia Wyn Jones in class 5 and 6 as supply Teachers. We also welcome Miss Rachel Hanks and Mr Ifan Owen who work as classroom assistants every morning. To those children who have started at Ysgol Brynrefail. 29 children from classes 2,3, 4, 5, and 6 have commenced a series of swimming lessons that are held weekly on Thursday morning, that are enjoyed by all. 13 children receive lessons at the school weekly. Urdd activity meeting will start at the School after half-term alternately with Dragon Sports activities. Mr Gwynant Parri will visit the School on Wednesday morning November 9th to take photos of the children. Any individual who has not got children at the school is welcome to drop by if they so wish. Practices have commenced every Thursday afternoon at the School between 3:45 and 4:45. It is pleasing to see several former pupils and current pupils coming together. A concert will be organized before Christmas. The School staff and pupils wish to congratulate our Headteacher Mr Gareth Fôn Jones on his appointment as Head of Ysgol Dolbadarn Llanberis. He will be sorely missed by us here at Penisarwaun. We thank him for his enthusiasm towards the School and all the activities held in the Community during the past seven years and wish him all the best. The School takes pride in the children’s success at the Urdd National Eisteddfod held at Swansea. 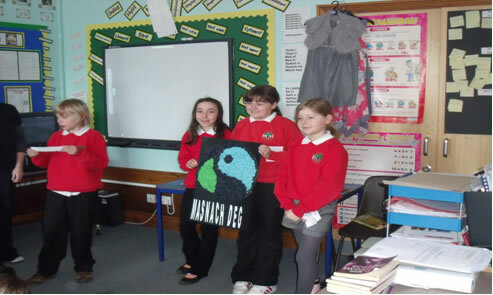 The Unison group came 1st - click here to go to the Urdd website and to view a video of the children singing. The Choir came 2nd- click here to go to the Urdd website and to view a video of the children singing. The Action Song came 3rd- click here to go to the Urdd website and to view a video of the children performing. Congratulations to them. We are very grateful to the Parents for their support and collaboration in making arrangements to take the children to Swansea. Everybody enjoyed themselves immensely. Thanks also to everybody for their contributions towards the costs. Some pupils from Y 3,4,5 and 6, participated in the Tournament held at the Tennis Centre on Tuesday June 7th. Everybody had fun playing against the other teams from different Schools. Congratulations to Catrin Sara , Amie , Catrin Elen and Natasha for being runners-up in their group. Thursday, June 16th was a very busy day at the School. Due to Y 6 visiting Ysgol Brynrefail for the day, everybody had an opportunity to move up to the class that they will be attending in September. In addition, the children who will be attending the School for the first time ever in the nursery class, were invited here. Everybody greatly enjoyed these experiences. The sports were held on Ysgol Syr Huw Owen field on Thursday evening June 16th at 4-30 p.m. Thanks to everybody who participated and congratulations to Lois, from Y 6 for being runner-up in the individual race. She won through to the County Sports held on Treborth fields and came 4th, well done Lois. Thanks to the staff for coaching them and to the Parents for taking care of the children during the evening. Y 3 and 4 went on a walking trip to Llyn Llydaw under the guidance of an Officer from Plas Tan y Bwlch on Friday June 24th. Everybody enjoyed spending the morning in the outdoors, and learning about their surroundings at the foot of Snowdon. School Experience – Catrin Jarvis was welcomed on school experience from Ysgol Brynrefail between June 27th and July 1st. The final round will be held at Glynllifon on Wednesday, June 29th. Best wishes to Owain , Sam, Catrin Sara and Amie who will be participating. A Cymanfa Ganu will be held to open the Carnival week’s activities at the Church on Sunday Evening 3/7/11 at 6:30 p.m.. The School children’s choir will be taking part and your support would be greatly appreciated. The sports will be held on Wednesday afternoon, July 6th at 1 p.m, weather permitting. You are welcome to come and support the children. As everybody enjoyed themselves so much last year, we have decided to take the children to Gelli Gyffwrdd again this year on Tuesday July 12th. The school closes on Friday July 15th and re-opens for the children on Friday September 2nd. To Magi Tudur from year 6 on being awarded first prize for her art work at the Urdd National Eisteddfod. Her work will be displayed at the Art and Craft tent at Swansea. Very well done Magi. The concert held at the Community Hall on Sunday afternoon, May 8th was a great success. Thanks to Lois Eifion for making the arrangements and to everybody who participated. 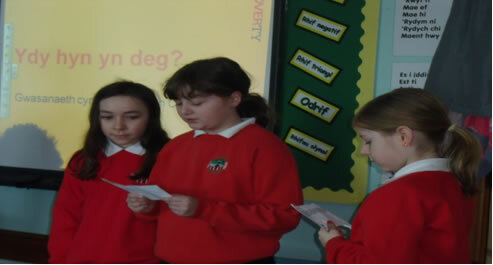 £254 was raised towards the Urdd Eisteddfod costs. 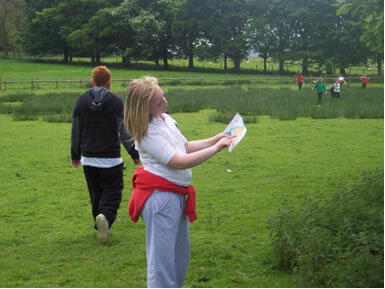 Y 5 and 6 participated at an Orienteering Festival held at y Faenol on Wednesday May 11th. Thursday May 19th KS2 children visited Parc Glynllifon to see a performance given by Cwmni’r Fran Wen that was linked to the workshops that were recently held at the school. Everybody enjoyed the experiences gained during these visits. On Thursday June 16th, Y 6 will visit Ysgol Brynrefail, the other classes will have an opportunity to move up for the day. The current Nursery class will remain at the School all day and receive School dinner if they so wish. Those children who will be starting in the Nursery Class in September will be invited to attend the school between 9 and 11 a.m. on that morning. The school will be closed on Monday June 20th. Thanks to everybody for their kindness in contributing towards the School’s costs to go to the Urdd National Eisteddfod held at Swansea. Success- As a school, we take pride in the children’s success at the Urdd County Eisteddfod held at Pritchard Jones Hall, Bangor on Saturday March 26th. The pupils won first prize with the Action Song, Unison Group and Choir, and were runners-up with the Two-Part Group. Magi won 3rd prize for recitation for Y5 and 6 and was awarded the first prize with her art work from competitors throughout the County and her work will be adjudicated at the National Eisteddfod. Congratulations to them all and we wish them all the best when they compete in Swansea in June. Fund-raising activities will be organized towards the costs and everybody’s support would be greatly appreciated. 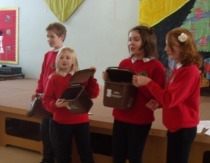 School Urdd Section – Several members visited the Recycling Centre at the Caernarfon Cibyn Industrial Estate on Monday afternoon, April 4th. Sponsored Walk – Everybody had enormous fun when they joined up with many children from other schools from the area on Friday morning April 8th. Everybody walked from Morrisons car Park at Caernarfon along Lon Eifion towards Plas Menai. The weather was excellent and thanks to Mr Alun Roberts for organizing and to everybody for collecting sponsorship money. 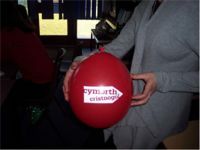 The money raised will go towards the target set by Penisarwaen and Brynrefail for the 2012 Eryri Urdd Eisteddfod. Some of the children had been very busy designing a flag containing the School logo to display on the trip. Thanks to everybody who assisted them. Eryri Eisteddfod Proclamation Ceremony 2012 – Some of the pupils and their parents and School staff joined the fun on the streets of Caernarfon and in the Castle on Saturday morning April 9th. It was pleasing to see the flag representing our school being carried. Trip –The Infants class spent a day at Foel Farm on Wednesday April 13th as part of their theme “The Farm”. Disco – A disco was held for the entire School on Friday afternoon, April 15th. This had been organized by Mrs Ray’s class as part of their theme life in the 60’s – everybody had fun to end the term. Mrs Shirley Owen came to discuss with Y5 and 6 pupils on how to create an exciting story/drama to be performed by Cwmni Fran Wen . It was important that the pupils used their creative imagination to create an interesting story entitled ‘The Magic of the Trees’. We had a great deal of fun collaborating with Mrs Owen discussing and describing various characters in the hot seat. We then asked questions to pupils who took turns to sit on the seat. We also took notes on A3 paper and then brought the ideas together. We would like to give thanks on behalf of year 5 and 6 pupils for the experience gained with Mrs Shirley Owen and also assisted to enable us to create a story ourselves. Many thanks. 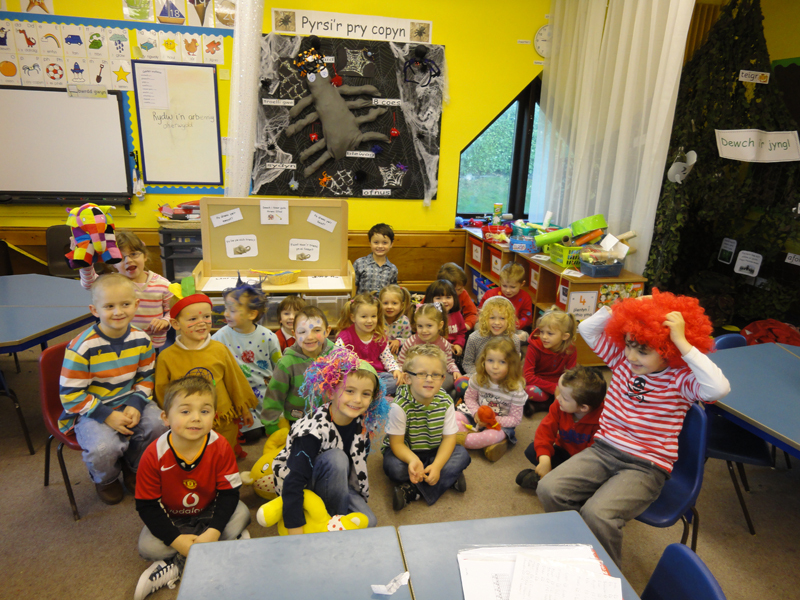 St David’s Day and World Book Day - The children came to school in Welsh costume, and brought their favourite book. They also enjoyed a delicious dinner prepared by Anti Carolyn. 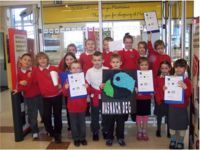 Visit – On 4th March, Mrs Ray’s class visited Morrisons Supermarket at Caernarfon to ask the shop’s workers about Fair Trade products. They had an opportunity to ask a staff member questions before going around the shop to have a closer look at the produce. They also had an opportunity to ask some customers questions. 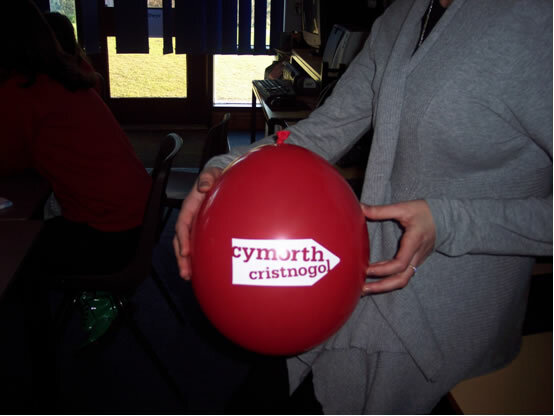 The school achieved considerable success at the Urdd Cylch Eisteddfod held at Ysgol Brynrefail on Saturday March 12th. The school came first in four competitions namely , the choir, Two-part Singing Group,Unison Group and the Action Song. Magi won the individual recitation for Y5 and 6, and Catrin Alaw was runner-up on the solo and the recitation group were also runners-up. We are very proud of them and on the hard work rehearsing in a short space of time. We wish them well at the County Eisteddfod to be held at Pritchard Jones Hall, Bangor, on Saturday March 26th. Thanks to everybody who have been busy coaching the children and to the Parents for their collaboration at all times. the school before the end of June. 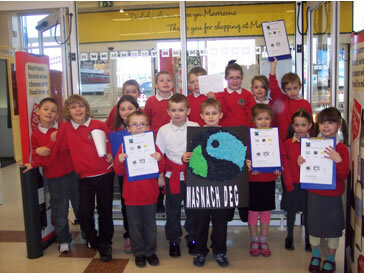 Visit by Mrs Ray’s class to Morrisons, Caernarfon during Fair Trade fortnight. 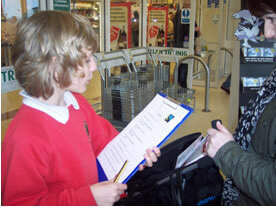 On 4th March, we visited Morrisons supermarket by bus to ask the shop workers about Fair Trade products. We were allowed access to a back room to ask questions before going around the shop to take a closer look at the products. 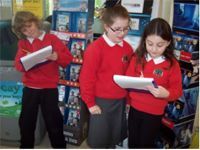 We also had an opportunity to ask questions to some customers. Anna Jen Evans from the Christian Aid charity giving us a talk about her charity work in Haiti. Visit – As part of their Theme, namely Life in the 60’s, Mrs Ray’s class visited Bron Haul at the Slate Museum at Llanberis on Wednesday February 2nd. Everybody saw a home from that period in comparison with their homes today. Having fun singing together – On Friday morning, February 4th, the Infants class visited Ysgol Brynrefail to join children from other schools in the catchment-area on Carys Ofalus and Meinir Gwilym’s trip. They enjoyed singing various songs that they had practiced singing in the class beforehand, enormously. 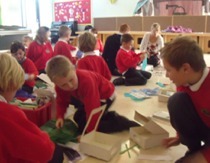 2011 Urdd Eisteddfod – The children have been busy preparing for various competitions during the last few weeks. We wish them all the best at the Ysgol Brynrefail Area Eisteddfod to be held on Saturday March 12th. Celebration – We will be celebrating St David’s day and World Book Day on March 1st. The Children will attend the School in Welsh costume and bring their favourite book. Anti Carolyn will prepare a delicious Welsh lamb dinner. We welcome Miss Bethan Williams on her return following maternity leave. We thank Miss Emma Williams for her work during this absence and wish her all the best in her new post at Ysgol Llandegai. 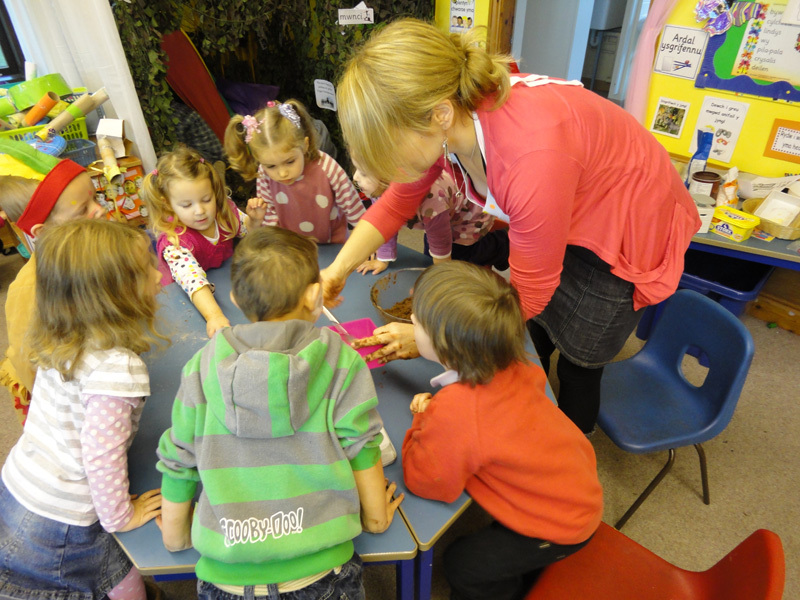 Miss Manon Jones, who is a student at Bangor University, spent time in the Infants class during January. Due to the severe weather before Christmas, the dinner had to be postponed until Tuesday January 11th. Thanks to Anti Carolyn for a very delicious dinner that was worth the wait. Mr Lee Oliver Keep Wales Tidy Officer, visited to have a talk with 2, 3 and 4 on Tuesday morning January 11th. Following the talk, he took the children around the village to collect litter. 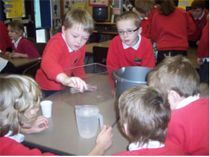 Bethan Copeland, Water saving Officer was welcomed to the School to hold a Service and Workshop on Monday January 24th. We wish to thank Eurgain Haf for presenting a copy of her latest novel“Yr Allwedd Aur” to the School. Mrs Ray's class has been very busy collecting rubbish around the village. Mr Lee Oliver from Cadw Cymru'n Daclus came to talk about the importance of re-cycling. Everyone had special gloves and sticks to pick litter up and we went to the park - not to play but to work! All sorts of things were found including car parts, sunglasses and a football! A great time was had by all! Our message is "Put your rubbish in a bin." A very successful Show was performed on Wednesday afternoon and evening December 15th. Thanks to the children for an excellent performance and the entire staff for their enthusiasm. We are very grateful to everybody for their support during the afternoon and in the evening. Monday evening November 8th- Talk by Alison Gwynedd Bio-Diversity Officer. Monday evening November 22nd – Mr Len Porter talking about his craft making sticks. Monday evening December 13th – Making Christmas crafts with Mrs Pat Jones Brynrefail. 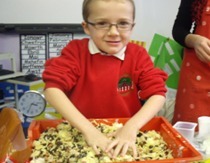 The children making cakes for children in need. Children In Need Day - The children had an opportunity to come to school dressed up in dotted clothing and untidy hair on Friday November 19th. Cakes were sold during the morning break and £194:20p was handed to the children in need fund. Thanks to everybody for their contributions. Christmas Child Campaign - 25 boxes were collected fron the School, on Wednesday 24/11/10 They were full of gifts to send to less fortunate children. Thanks to those who have been busy preparing the boxes. Open evening – An open evening was held to enable Parents to have an opportunity to look at their children’s work on Tuesday 16/11/10. Pantomime – Everybody enjoyed the pantomime organized by the Copa Comedi company at Theatr Seilo Caernarfon on Wednesday December 1st. Day at Ysgol Brynrefail – Y 6 will have an opportunity to spend a day at Ysgol Brynrefail on Thursday December 9th. Christmas Concert – This year’s concert will be held on Wednesday 15/12/10. A performance will be given at 1-30 p.m. and at 6 p.m. Tickets are available from the School at £3:50 for adults and £2 for pensioners and Secondary school children. A warm welcome is extended to all. Christmas Fair – The Fair will be held at the School on Thursday evening December 16th at 6 p.m. There will be several stalls and hopefully Father Christmas will visit. Christmas Lunch – Anti Carolyn will prepare the Christmas dinner on Friday December 17th. There will be an opportunity for the Nursery children to join us as well as the children who usually bring a packed lunch. The new School Council has been elected. Click here to visit the School Council page. Lisa Sturrs from Bangor University and Dewi Jones from Gwynedd Training are currently spending time at the School. Urdd -Urdd branch activities meetings will commence at the school after half-term. Morning Service -Mr Andrew Settatree was welcomed here on Monday morning October 4th to hold the Service. Music Workshop -Miss Caryl Hughes, who is a professional singer, visited KS2 pupils on Friday morning October 8th. Everybody enjoyed the workshop and the experiences gained during her visit. Fieldwork –Yr’s 5 and 6 studied the Foryd at Caernarfon on Wednesday morning October 13th. Educational Visit -As part of their themework ”Insects” year 1, 2 and reception classes visited Pili Palas on Tuesday October 19th. Halloween Disco -The “Cyfeillion” organized a disco evening at the Community Hall on Wednesday Evening October 20th between 6;30 and 7:30 p.m. Taking photographs -Mr Gwynant Parri will be visiting the school on Tuesday morning November 9th to take photographs of the children. Any child who is not a pupil at the school is welcome to visit during the morning. Christmas child campaign—boxes to be in by 19/11/10 please. Pantomime -We will be visiting Theatr Seilo at Caernarfon on Wednesday morning December 1st to enjoy the pantomime by “Copa Comedi”. Christmas Fair The Fair will be held on Thursday evening December 16th at 6 p.m. There have been 6 new admissions to the nursery class - Ela, Holly, Branwen, Rebecca, Osian and Guto have settled down very well amongst us. We also welcome Connor who has joined Y2 and his sister Natasha who has joined Y4. We welcome Miss Emma Williams who will be spending time in the Infants class during Miss Bethan Williams’ maternity leave and Miss Debbie Williams from Gwynedd Training who will be spending time in class Y2, 3 and 4 as part of her course. That’s what we wish those children who have started at Ysgol Brynrefail. To Elin Owen for being awarded a prize for the best work in Welsh during 2009/10; this prize is annually presented to the School by Mr Selwyn Griffith, and we are very grateful to him. We send him our regards, and hope that his health is improving. Thirty three children from classes 2,3, 4, 5, and 6 have started on a series of swimming lessons which are held weekly on Thursday morning. Everybody enjoys them. 6 children receive lessons at the school weekly. Elen Medi visited the School on Wednesday September 15th to give an interesting talk on the work of the Air Ambulance in Wales. The School Choir will be taking part with other schools from the catchment-area, at a concert held at Ysgol Brynrefail on Tuesday Evening September 28th to raise money towards the Wales Air Ambulance. Glesni Jones and Elliw Griffith will be welcomed here on a week of work experience from Ysgol Brynrefail; they will be at the school between September 27th and October 1st. Urdd branch activity meetings will commence at the School after half-term. Cycling Lessons – Y 6 pupils receive cycling lessons on Thursday afternoon and are enjoying the experience. Gymnastics lessons - KS1 pupils have been following a course of lessons under the Pess scheme with Mr Meilyr Owen for six weeks. Everybody enjoyed them and thanked Mr Owen fo visiting the school. Cwmni’r Fran Wen – The Cwmni members visited the School on Monday morning Mat 10th to perform the show “C’laen” which dealt with personal and social education as regards bullying and impacts of bullying. Children from Ysgol Cwm y Glo were invited to join us to enjoy the performance. Moving Classes – On Monday, June 14th, Y6 will visit Ysgol Brynrefail, the other classes will have an opportunity to move up for the day. The current Nursery class will remain at the School all day and receive School Lunch if they so wish. Those children who will be starting in the Nursery class in September will be invited to visit the School between 9 and 11 a.m. on that morning. Congratulations – To Miss Bethan Williams, an Assistant at the School for the recent birth of a boy, Hari Griffith, a little brother to Cian. The school achieved great success at the Area and County Urdd Eisteddfod. At the Area Eisteddfod, 3 first prizes were achieved with the choir, Unison group and Action Song. The recitation party were runners-up and the Cerdd Dant party came third. At the County Eisteddfod, the unison group and the action song were awarded first prize. They will be competing at the Urdd National Eisteddfod at Llanerchaeron in June. The choir was runner up in the competition for choirs consisting of up to 150 pupils. Excellent!!! World Book Day - 04/0310 – world book day activities. 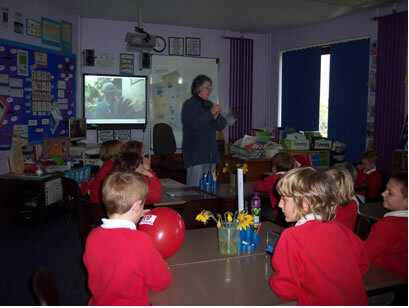 01/03/1 Pupils were dressed in a Welsh costume and a St David’s day dinner was served. A coffee morning to raise money towards this appeal was held on Monday February 1st. The children also had an opportunity to wear fancy dress and cakes were sold during the morning break-time. £289.25 was collected – this money will be transferred to the fund by Eurgain Haf of Save the Children Fund Association (Haiti Fund ) Thanks to everybody for their support. Cylch Ti a Fi disco was held at the school hall. The money raised went towards the Cylch. “Cwmni Da” visited the School on Monday morning 30/11/09 to record Yr 3,4 and 5 pupils singing a carol to be broadcast on the Big Screen at Caernarfon on 22nd and 23rd December. 17/12/09 Reception to year six pupils saw the pantomime at Y Galeri Caernarfon. £553 was raised towards the fund. The school choir held a concert at the Home for the Elderly at Penisarwaun. Auntie Carolyn prepared a delicious Christmas Dinner on Wednesday 16/12/09. 16/12/09 – The village Wassail evening was held; the school Choir and individuals participated. The show “Pantolig” was performed at the School on Tuesday afternoon and evening 15/12/09. Thanks to the children for their excellent performance and to everybody for their support. A successful Christmas Fair was held on Thursday evening 10/12/09. Thanks to everybody for their support in raising £692 towards the Friends of the School fund. 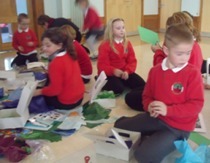 On Monday November 30, Yr 6 children spent the day at Ysgol Brynrefail. An open evening was held to provide an opportunity for the Parents to look at their children’s work on Tuesday 17/11/09. Everybody also had an opportunity to visit the kitchen to taste various foods on the School lunch menu. Thanks to Auntie Carolyn and Gwyneth for preparing the food. On Thursday October 15th, arrangements were made to take Reception, Year 1 and 2 classes to participate in a Victorian Workshop held at Penrhyn Castle. Everybody enjoyed the experiences gained during these two educational visits. 19 boxes were collected from the School, Wednesday 11/11/09. They were full of gifts to send to less fortunate children. Thanks to those who were busy preparing the boxes. Dressing up in pink day 23/10/09 – Arrangements were made for everybody to come to School dressed in any pink coloured item of clothing on Friday October 23rd. The children could also buy pink coloured cakes during morning break time. Thanks to everybody who made an effort to wear pink coloured clothing on that day. £140-10p was raised towards the worthy Breast Cancer cause. There was plenty going on in the Infants class on Wednesday morning October 7th as “Cwmni Da” was here filming various items to be broadcast on the Cyw TV programme on S4C between January and March 2010. Yr 5 and 6 visited Plas Mawr and Aberconwy House on Tuesday October 6th, as part of their theme work for the term. Mr Andrew Settatree visited the School to hold a service on Monday morning October 5th. On Friday, September 25th, Y 2,3 and 4 pupils visited Cae’r Gors to participate in a Workshop on the Quarry which was held at Cae’r Gors Heritage Centre. The trip tied in with the theme studied by the pupils, namely ‘Our Area’. This term, the pupils are studying quarry life and the Victorian era. The children were welcomed by Mr and Mrs Thomas and they were taken back in time!! A breakfast of porridge was served before a tin of food was prepared for Owain the Quarryman. In order to burn off a few calories, the pupils went on a walking trip, following the path the quarryman would have taken. The pupils split the slates using the quarryman’s hammer and chisel. Following a hard day’s work, the pupils enjoyed a ‘quarry supper’, a home-made welsh cake and a cup of tea. Congratulations to William Lamb on winning the prize for best literature in Welsh during 2008/09. Mr Selwyn Griffith has donated this annual award to the School, and we are greatly indebted to him. The School takes enormous pride in receiving an award from the 2009 Welsh Heritage Schools Enterprise. A cheque for £200 was received, donated by the Wales Women’s Archives. The project was based on the ‘Familiar Surroundings’ theme. The work received the following adjudication. “As could be expected from such a title, this project dealt with many local elements, including an excellent Action Song – based on the folk tale Marged Ŷch Ifan – local visits and landmarks, an opportunity to learn new skills with local artists and meet the local Crowned?Chaired?? Bard. The pupils also studied the Celts, Branwen and Siwan. As well as studying the past, the pupils discussed how to share their heritage, improve their area and a debate was held on the future of the local Sherpa bus service. There were 6 new admissions to the nursery class, Ryan, Mac, Lauren, Gerallt, Alex and Robert, have settled down very well. We also welcome Kyrees who has started in Year 3. We welcome Miss Anest Jones from Gwynedd Training, she will be spending some time in the infants class as part of her course. All the best ! We extend our best wishes to pupils who have started at Ysgol Brynrefail. 28 children from classes 2,3, 4, 5, and 6 have started on a series of swimming lessons which are held weekly on Thursday morning, everybody enjoys them. 8 children receive weekly lessons at the school. Urdd Branch meetings will start at the school after half-term. Fundraising to send the school’s year 4, 5 and 6 cân actol (action song) to the National Urdd Eisteddfod is going well. 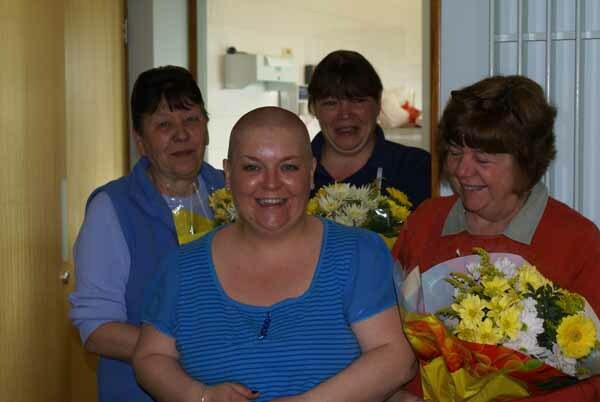 Activities were officially launched on 2 April with a successful bingo night in the school, where Miss Bethan Williams bravely shaved her head to raise money to send the children to Cardiff. Thanks to everyone who supported the evening and to those who sponsored Miss Williams. We’ll find out how much was raised after the Easter holidays. Thanks also to Gwenda, Carol and Carolyn for running village coffee mornings in the Community Hall over the past fortnight. This raised over £145 for the Cardiff fund, and the mornings were a great success with both parents and people in the village. Thank you very much for organising. The fundraising activities will continue until mid May, with the school competing in the National Urdd Eisteddfod in Cardiff on 27 May. Please contact the school if you wish to send a donation. Thanks to everyone who’s already donated to the fund to send the children of Ysgol Gymuned Penisarwaun to compete in the cân actol (action song) for years 4, 5 and 6 at the National Urdd Eisteddfod in Cardiff. We’ll be packing bags in Morrisons, Caernarfon on Sunday 3 May to raise money, and organising a May Fair on the school grounds on Saturday 9 May, to make sure that we reach our target and raise money for the school fund. We’re particularly grateful to the companies and local businesses which have been so supportive over the last few weeks, offering prizes for the grand raffle and sponsoring the school. Both the community and the school itself appreciate your help and support. 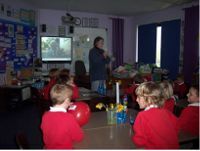 YR 3 and 4 pupils were invited to the Greenwood Centre on Friday March 20th 2009. 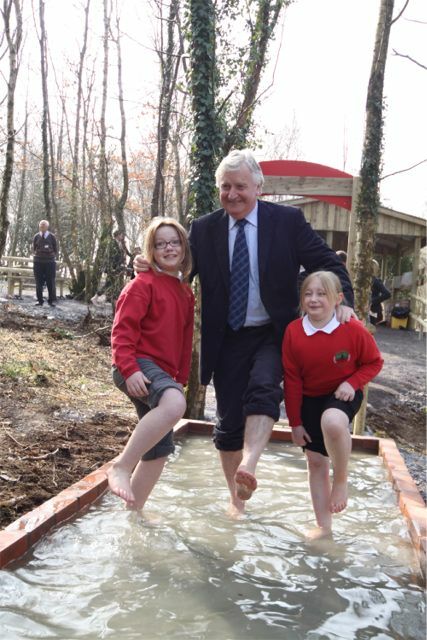 The Heritage Minister Mr Alun Ffred Jones was there for the official opening of a new attraction “The Bare Foot Trail”. They had an opportunity to walk along the trail in the company of Mr Jones and several other people who had been invited there on the day.A photo of the children appeared in the Daily Post along with a report about the opening, on Saturday March 21st. Visit the Album to see the photos. KS2 pupils will continue to receive swimming lessons at the Leisure Centre on Thursday mornings until the Easter holidays.Tennis lessons will commence on Thursday 23/4/09. We are again collecting the vouchers this year and we would be grateful to receive them at the School. This year, the day was celebrated with the children coming to School dressed up as any character from their favourite Welsh book. A delicious dinner was prepared by Anti Carolyn to celebrate St David’s Day. On Friday afternoon, March 6th, the local artist Mr Islwyn Williams, was invited to the School to hold art workshops with KS2. Everybody enjoyed looking at him drawing a picture of a bird, and then having an opportunity to draw a picture themselves. Thanks to Mr Williams for being so willing to give of his time to visit the school. As part of their theme work “The Farm” KS1 children visited the farm at Glynllifon in the morning where they saw different animals. They then visited the Slate Museum at Llanberis in the afternoon to learn about how clothing was washed in bye-gone days. The price of school dinner will increase to £1-80p as from Monday April 20th.